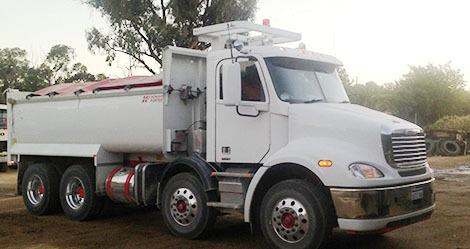 Established in 1956, RETCo Pty Ltd is a proudly West Australian owned an operated company. RETCO is the largest supplier of 8 wheel rigid tip trucks within WA. With our own fleet of over a dozen 8 wheel tippers and a group of owner operator sub contractors, RETCo can supply a combination of tippers to cater for even the largest infrastructure projects in WA. RETCo can cater for our clients multitude of job specific requests with trucks that are either low sided, steel bodied, swinging tail gates, low tare weights, roll tarps and job site ready. RETCo has a range of plant equiptment from loaders, excavators and skid steers that can be hired out either wet or dry. RETCo has a mobile screening plant that can aid in site clearing, block leveling and harstanding. Truck preventative maintenance & repairs. Supply of certified, decontaminated top soil, clean fill & sand. "Anyone can provide a truck, not everyone can provide the service!"